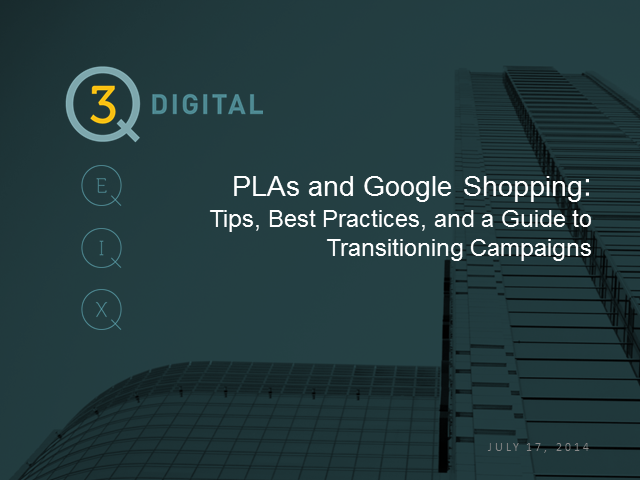 Google Shopping campaigns will replace PLAs for all AdWords advertisers in August. Make sure you're up to speed with how-tos and best practices on targeting, settings, feed set-up, and more. Sr. Client Services Manager Jay Stampfl and Client Services Manager Jason Bruggemann will cover these topics and take your questions in this free 60min. webinar, so come and get your ROI on.